Shop online for 22 zotz plastic models at discounts up to 58%. This is the 1/72 Scale AD4N Skyraider in Africa by Zotz Decals. 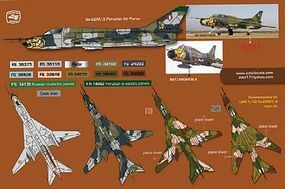 This is the 1/32 Scale Su22M3/4 by Zotz Decals. 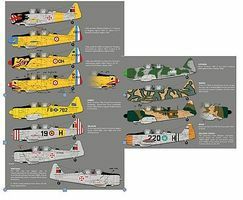 This is the 1/48 Scale Red Devil Italian Tornado 50th Anniversary of 6 Stormo Giomata Azzurra by Zotz Decals. This is the 1/48 Scale F16A MLU, FA112/F16AM 1st Sq. Stingers 85th Anniversary by Zotz Decals. This is the 1/48 Scale F16A MLU, FA61/F16AM I'll Be Back! 50 Years 23rd Sq. by Zotz Decals. 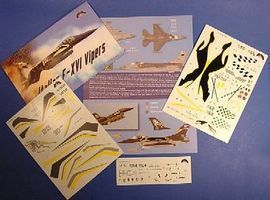 This is the 1/48 Scale Italian F16 Vipers by Zotz Decals. This is the 1/32 Scale F/A18C Hornet Schweizer Tiger Swiss Air Force (D) by Zotz Decals. F16A MLU, FA122/F16Am of 31st Tiger Sq. This is the 1/72 Scale F16A MLU, FA122/F16Am of 31st Tiger Sq. 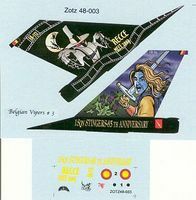 Belgian AF Vipers #1 by Zotz Decals. This is the 1/72 Scale F16A MLU, FA112/F16AM 1st Sq. Stingers 85th Anniversary by Zotz Decals. This is the 1/48 Scale AD4N Skyraider in Africa by Zotz Decals. This is the 1/48 Scale Black Panther Italian Tornado 60th Anniversary, NATO Tiger Meet 2002 Beja Portugal by Zotz Decals. This is the 1/32 Scale F16A MLU, FA122/F16Am of 31st Tiger Sq. by Zotz Decals. This is the 1/32 Scale F16A MLU, FA112/F16AM 1st Sq. Stingers 85th Anniversary by Zotz Decals. F16C Block 30 Viper Jason Sqd. This is the 1/72 Scale F16C Block 30 Viper Jason Sqd. 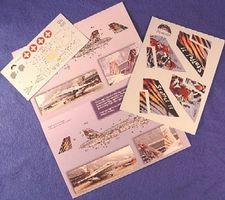 40,000 HRS Anniversary Special Greek Markings by Zotz Decals. This is the 1/48 Scale F16C Block 30 Viper Jason Sqd. 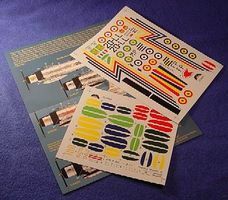 40,000 HRS Anniversary Special Greek Markings by Zotz Decals. This is the 1/32 Scale F16A MLU, FA61/F16AM I'll Be Back! 50 Years 23rd Sq. by Zotz Decals. 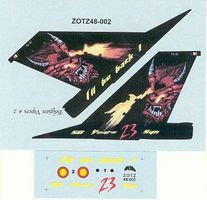 This is the 1/72 Scale Italian F16 Vipers by Zotz Decals. This is the 1/32 Scale F16A 313rd Dutch Sqd. 50th Anniversary Special Markings by Zotz Decals. This is the 1/48 Scale French Jaguar in Kosovo by Zotz Decals.